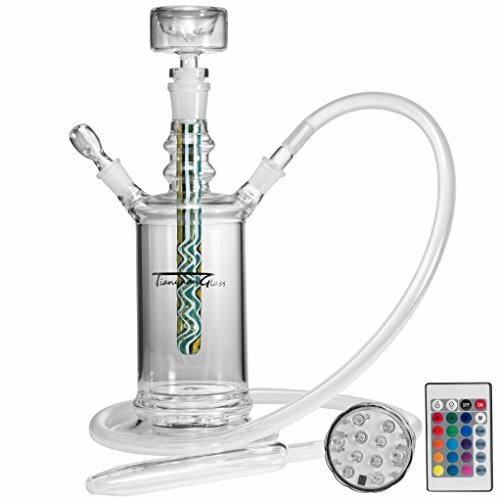 Tianyuan Glass All Glass Hookah Shisha 14'' with 4 Colors LED Light Base and Travel Code Case, Colored Pattern Down Stem (TY-HK15-CH) by Tianyuan at Blog Free Here. MPN: TY-HK15-CH-CP. Hurry! Limited time offer. Offer valid only while supplies last.